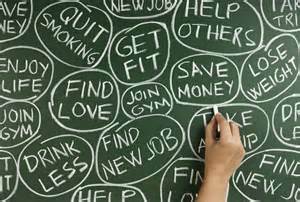 It is January – the month of resolutions. The glossy covers of magazines encourage the launching of self-improvement routines and offer advice on kicking bad habits and creating better ones. They promise that 2015 can be the best year ever as long as we have enough grit, determination, and self-control to make it so. After excess holiday eating and drinking, we resolve to be healthier. Or we rededicate ourselves to improving that relationship, finishing that degree, tackling that cleaning project, addressing that character flaw. The assumption behind any resolution is that we are in control – in the words of William Ernest Henley’s Invictus, that I am “the master of my fate, the captain of my soul.” That’s an appealing idea to us first world, middle class North American folks. Whether it’s our health, finances, relationships, spiritual lives, or any other area – it’s nice to think that we can systematically set goals, achieve them, master our flaws, and maximize progress. That through a combination of smarts, willpower and planning we can both chart and then walk the road of growth in wholeness/holiness. Underlying this mindset is a subtle, secular Pelagianism and that is challenged by these words which have been working on me in prayer: “…what we will be has not yet been revealed” (I John 3:2). John the Evangelist tells his readers (past and present) that we are children of God now, but we do not know what we will be in the fullness of time – or even (I would add) next year. Not only can we not get there by our own power – we cannot even know what we will look like. An anecdote that Catholic journalist John L. Allen, Jr. shared recently about Pope Francis’ transformation that illustrates this idea and provides a healthy counterpoint to the prevailing New Year’s mindset. Of course, this is a man whom we know now as the world’s most popular religious leader – admired by Catholics and non-Catholics alike, followed by 12 million on Twitter, more than comfortable in the media spotlight (did you see him on the cover of Rolling Stone?) voted as Esquire’s best-dressed man of the year. If you want visuals, do a google image search for “Pope Francis” and make a comparison. So what happened? How did the shy, spotlight-dodging Cardinal Jorge Mario Bergoglio become the charismatic, warm Pope Francis? By the reports of those who have worked with him closely, Bergoglio underwent a significant change the night of his election. Allen reports that after receiving news of his election but before stepping out on the balcony of St. Peter’s for the “habemus papam” pronouncement, Bergoglio went into a chapel for a few moments of private prayer. A Vatican photographer who witnessed him stepping out chapel reported that his entire countenance and way of carrying himself had changed. There was a new vitality and radiance present – the vitality and radiance which have come to characterize his papacy. “Jorge Bergoglio had a mystical experience on the night of his election – he went from being someone who was shy and avoided appearing in public to a ‘rock star,’” Allen says of the transformation of the Archbishop of Buenos Aires. Francis’ example encourages a generous dose of trust that change is at least as much about what we receive as what we create. Transformation has more to do with that old-school Catholic term “cooperation with grace” than with the masterminding and implementing of a detailed personal annual strategic plan. Allen’s description of Bergoglio’s election night and the words of John’s epistle both point to the same humbling, counter-cultural truth: we are not, finally, the authors of our own transformation. Indeed, what we will be has not been revealed. And we aren’t in the driver’s seat of how we will get there. So we write out our plans, set our goals, resolve to change…and then hold those resolutions with gentleness and humility, trusting that our transformation is held in hands immeasurably larger and seen with vision infinitely broader than our own. About the author: Rhonda Miska (rhonda.youngadultcatholics@gmail.com) is a former Jesuit Volunteer (Nicaragua, 2002-2004) and a graduate of the Boston College School of Theology and Ministry. Originally from Wisconsin, her past ministries include accompaniment of the Spanish-speaking immigrant community, Muslim-Christian dialogue, social justice education, direct outreach to people who are homeless, congregation-based community organizing, and coordination of a community with adults with intellectual disabilities. She is currently a Partner in Mission with the Sisters of the Humility of Mary at the Villa Maria Education and Spirituality Center in Villa Maria, Pennsylvania where she will be facilitating a program on “The Spirituality of Pope Francis” in April. This entry was posted in Spirituality and tagged Ignatian spirituality, metanoia, New Year's resolutions, Pope Francis, transformation by Rhonda Miska. Bookmark the permalink.